Jama Masjid is quite a delight for people looking for authentic street food of Delhi. The aroma of different kababs, parathas, mithais have served as crowd puller since time immemorial and one such gem of Old Delhi is Haji Mohd. Hussain Fried Chicken. Since 40 years, the modest eatery is serving some of the finest fried chicken in Delhi. 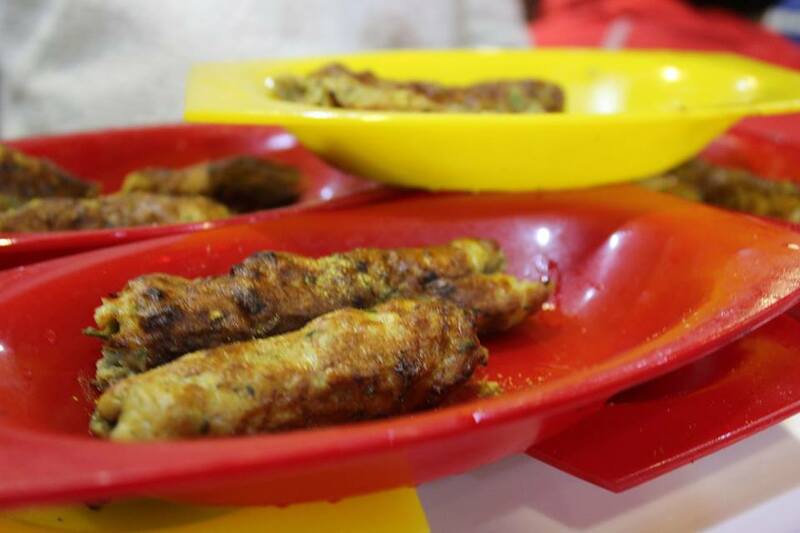 The mouth-watering Mughlai preparations are every non-veg lover’s dream come true. The chicken is first marinated in different spices, and then half-fried. The marination lends the perfect balance of spices in the juicy and tender chunks. The person who fries the chicken legs even checks the chicken piece with his hands to ensure the piece is well- fried and not undercooked. When served, the portion comes with spicy chutney, green chillies and raw onions. The chicken has a crunchy outer and is super-juicy inside. It is complemented well with rumali roti, onions and tangy chutney. For maximum crispness, the chicken is cut into small pieces to be fried in huge pan of boiling oil. They fry the half done chicken again before serving. Double frying the chicken results crunchy outside and moist and tender inside. Don’t expect a very hygienic environment or an upscale service, as it serves in a small shop but offers lip smacking food at reasonable rates. Haji Mohd. 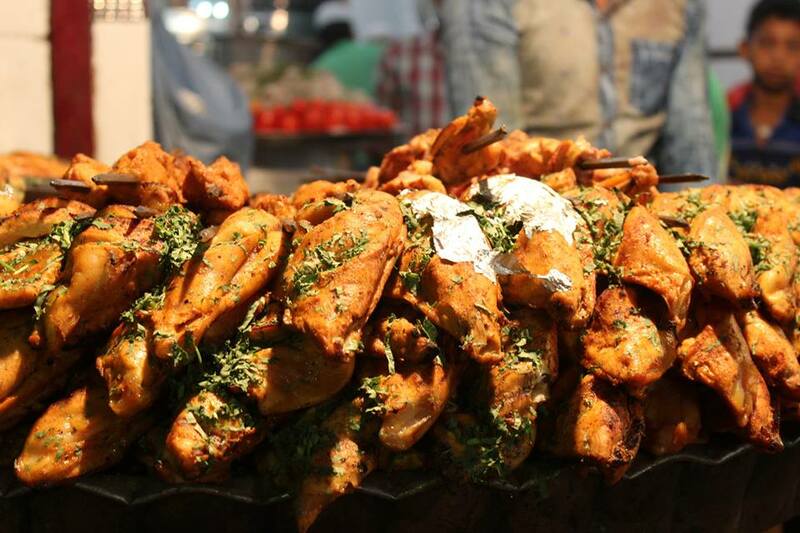 Hussain Fried Chicken lies in the vicinity of Jama Masjid and opens by 11 in the morning and serves till 11 at night. There is no seating available. 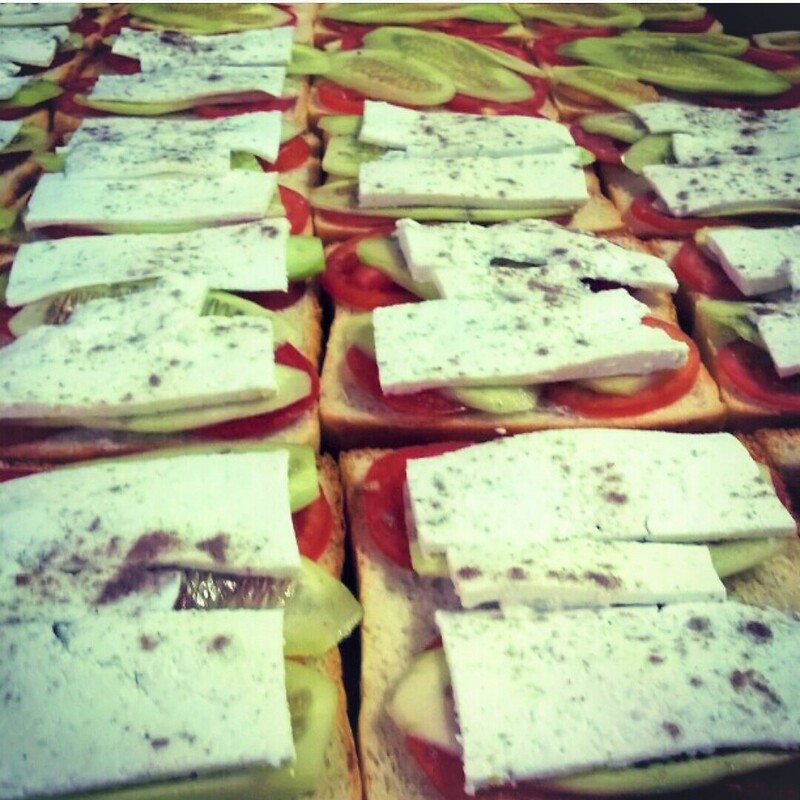 One has to stand and eat or mostly people prefer to get these delicious treats parceled for home. The moist and tender delight would is sure to impress all chicken lovers in town. A must try dish for all. Purani dilli, once filled with mansions and forts of noblemen from the Mughal dynasty, now caters to the heaving crowd of modern world. Despite having become a bustling trade centre, it still enchants visitors with its undying splendour. 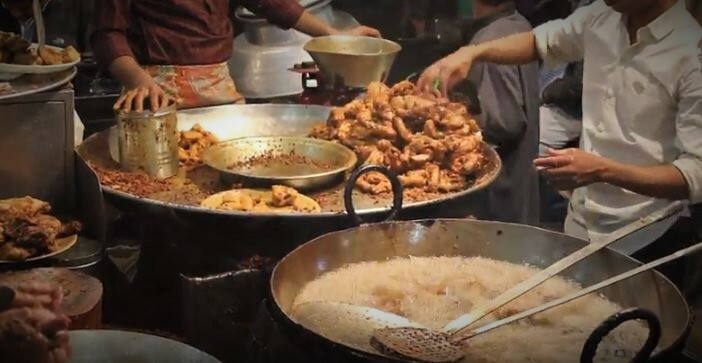 Old Delhi is most acknowledged for its street food and whenever non-vegetarian delicacies are discussed among foodies in Delhi, the famed by lanes of Jama Masjid area are definitely mentioned. These crowded ‘gullies’ are known for their numerous eateries that serve an array of chicken and mutton delights. 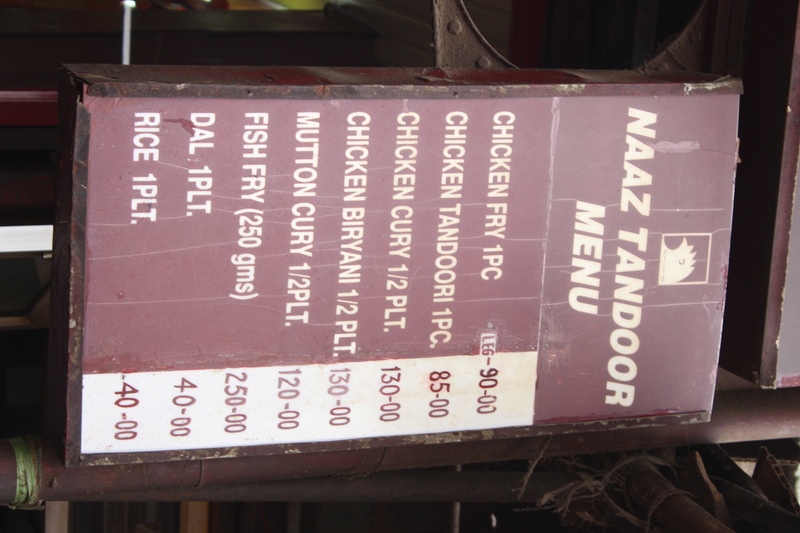 One of the many establishments that caught my eye was Naaz Tandoor. Located on the urdu lane, opposite Jama Masjid, Naaz Tandoor welcomes people with the sight of fresh preparations of Tandoori chicken which fill the area with a distinctive smoky aroma. 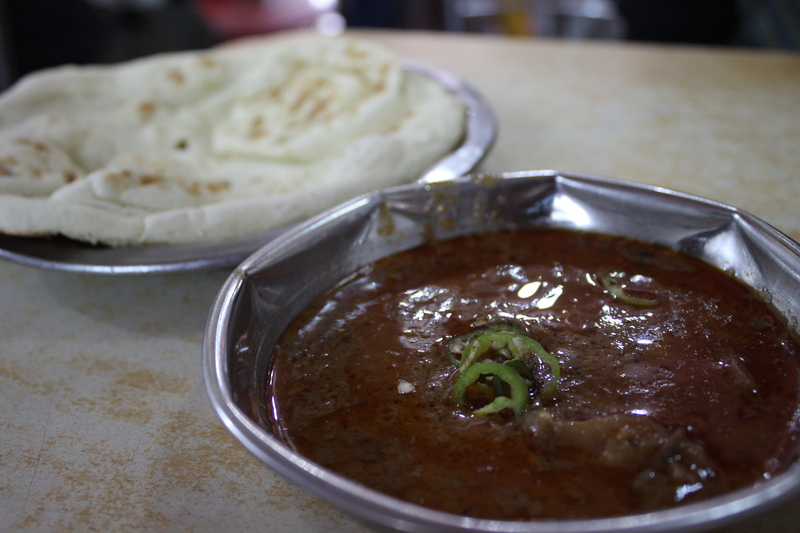 Mohammed Alam, the chef at Naaz Tandoor, sits at the entrance preparing the items on the menu all day long. This man has been a part of the joint since its conception in 1960 and has been cooking delicious chicken fry for its customers. 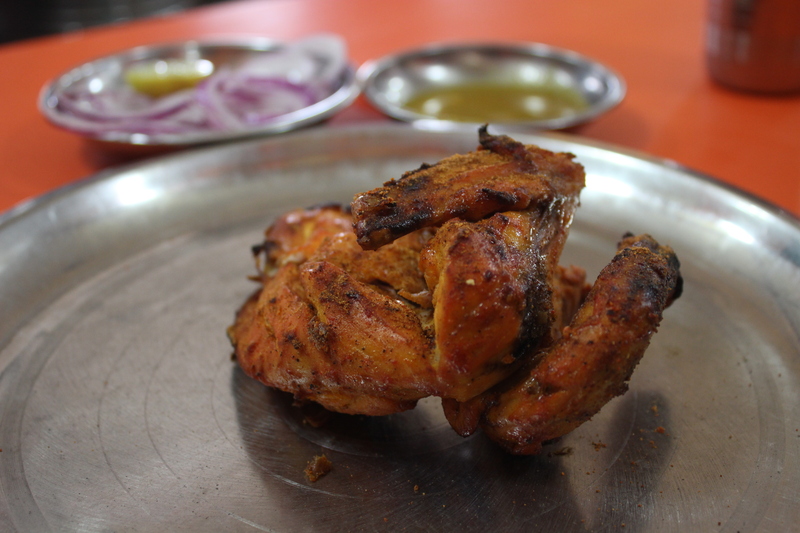 Although the most popular dish on their menu is chicken fry, I decided to go with the good old Tandoori chicken. 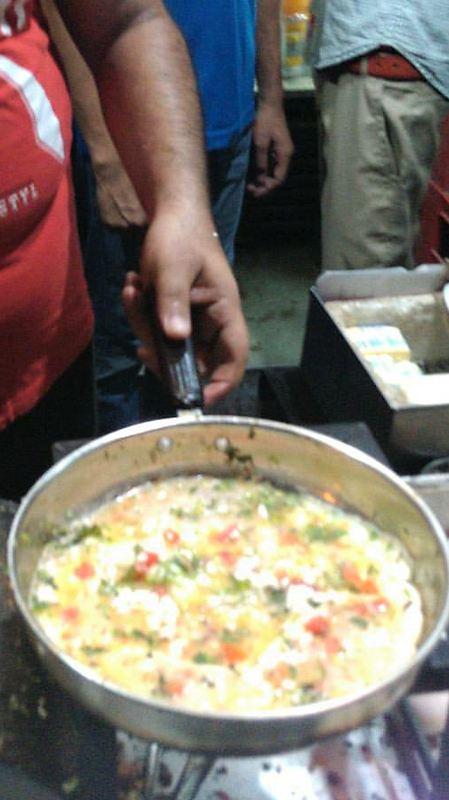 The chicken was served with freshly chopped onions, green chilli lemon and chutney made of yellow chilli pepper. For me, the yellow chilli chutney was the highlight of the visit. Its spicy preparation complimented the umami taste in chicken exceptionally well. The piece of tandoori chicken was glazed with ample amounts of chaat masala which added a tangy twist to the meal. I also ordered half a plate of chicken biryani to give the meal a wholesome feel and the quantity does not disappoint. Half plate biryani is enough for two people and it is made with aromatic basmati rice covered with perfect amount of spices that give it a characteristic taste. In an area dominated by restaurants selling a variety of mutton dishes, this joint stands out for its chicken items. Established by Adil Hassan, this eatery serves deliciously fresh chicken and fish preparations to over 200 customers each day. It is one of the popular choices among the locals as it serves delectable food for a low-price. The smell of a unique kind of spicy gravy coupled with the sizzling sound of hot ghee in the kadhai holds a special allure for the morning walkers of the old Delhi area. Desirous of satiating the hunger of their stomachs after the tiring walk, with traditional breakfast dishes offered by one of the oldest eateries in the area, the walkers rest their exhausted bodies on the lone wooden bench that lies outside the shop. The puri is made of a special dough which is constituted by a combination of udad daal and coarse wheat flour. It is double fried in a huge kadhai in pure ghee, till it turns a delicious shade of golden-brown. The puris are crisp because of the coarse wheat flour in the dough and the double-frying. They are served with piping hot bedmi which is a traditional gravy with potato pieces in it. The gravy is cooked with the boiled potato pieces till it enshrouds them with a balanced mix of spices which may lean a bit towards too hot for those who are unused to the Indian taste-palette. A green chutney made of methi and pudina is also served along with the bedmi and puri. Its subtle flavour perfectly complements the crisp and coarse texture of the puri and the strong taste of the bedmi. 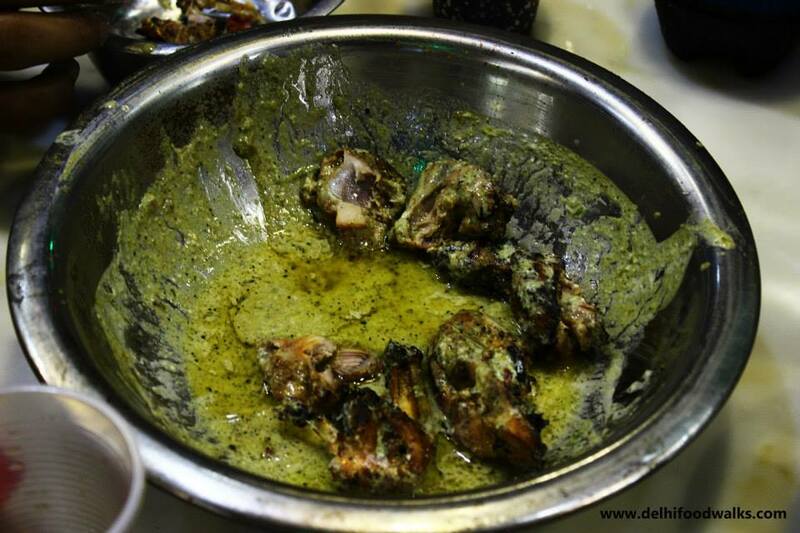 The dish has pleased the taste buds of the residents of Old Delhi for many decades. It forms a regular part of the Sunday breakfast for a large number of families in the area. It is regarded as one of the consistently well-liked traditional dishes for those who have managed to keep away from salads and fruits as breakfast options on weekends. 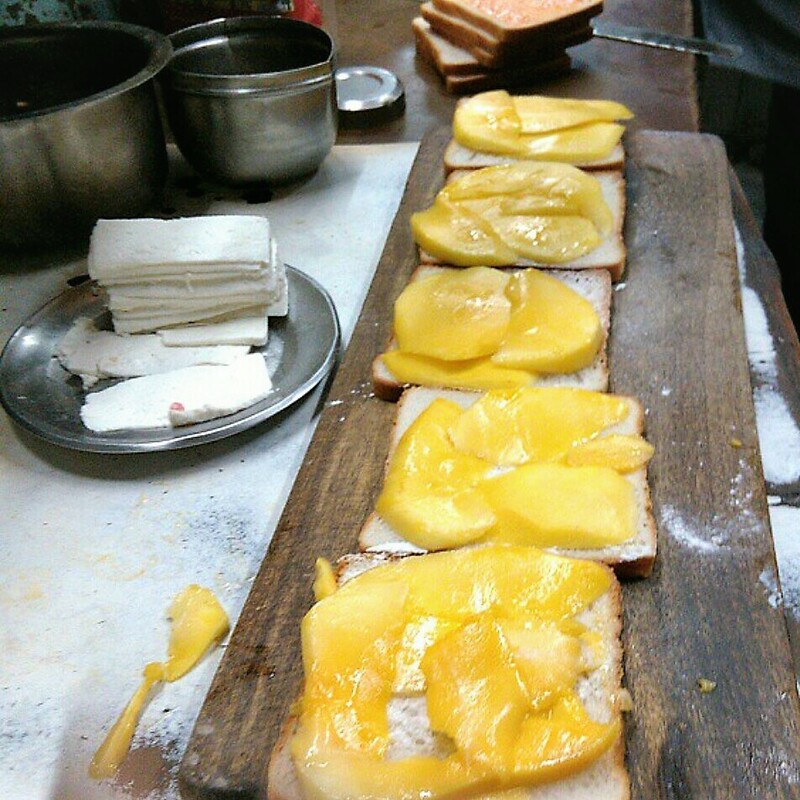 They instead, treat themselves to extraordinarily fulfilling breakfasts from some of the oldest kitchens in Chandi Chowk that have somehow survived the surge of modern chains of eateries. 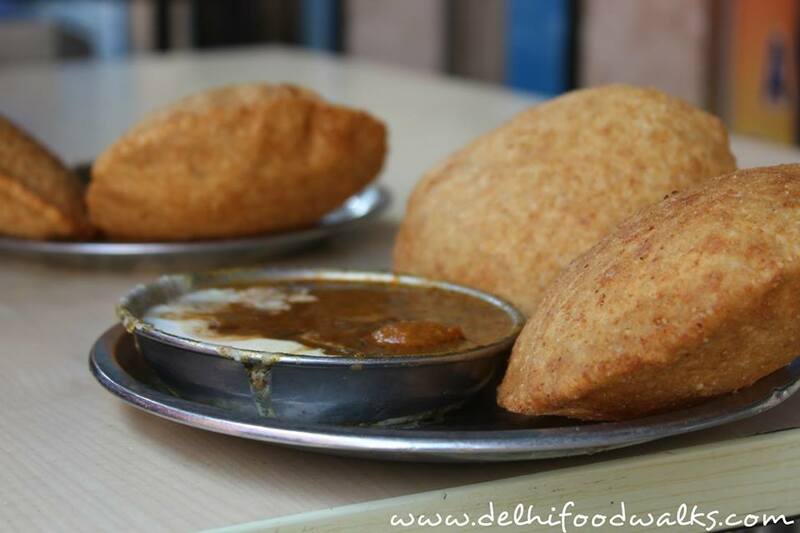 The Kedar Nath Premchand Halwai in 13 Kinari Bazaar, Parathe Wali Gali, boasts of serving the best bedmi-puri in Chandni Chowk. It was established in 1958 by Sri Kedar Nath who had migrated from Haryana. It is currently managed by his son, Vinod Kumar. 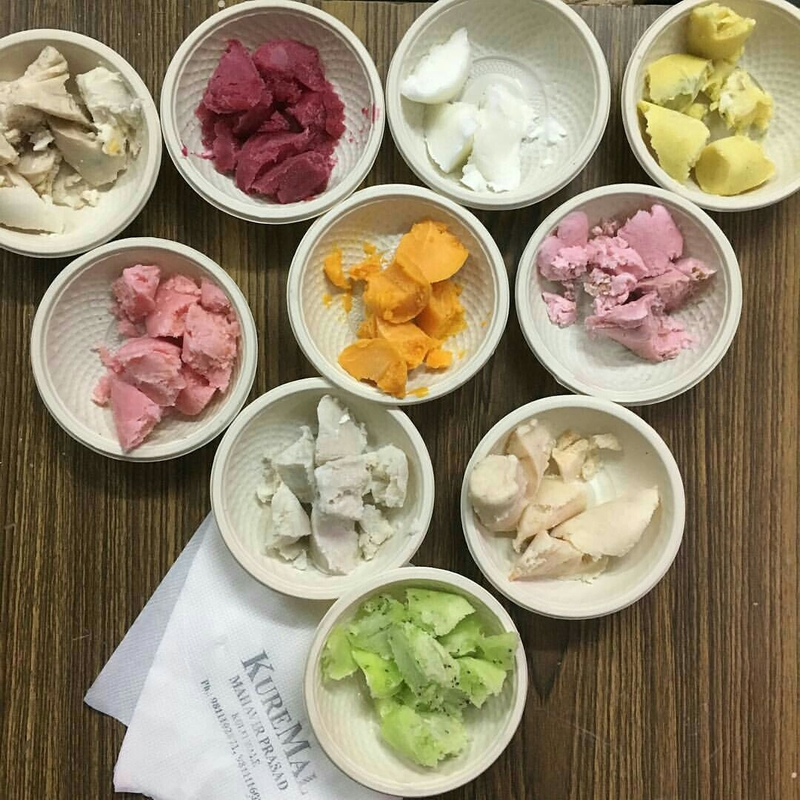 The owners claim to use nothing but pure ghee for the preparation of their foodstuffs and the shop is renowned for its breakfast food and snacks like nagori-halwa, trikoni mathri, sev-boondi and khoi peda. The shop remains open from 8 a.m. to 9p.m. on all days. As Delhi’s winters give way to the scorching summer heat, we are all left to reminisce about the chilly months that went by. Dilli ki sardi is quite popular for its spine chilling (literally) dip in the temperature that forces you to snuggle inside a cosy blanket with a cup of tea or coffee. However, come winters and Delhites venture out of their homes to gorge on seasonal delicacies like Kadhai ka Doodh, piping hot Jalebis and Gajar Ka Halwa. But what I, as a foodie, want Delhi to be famous for is Daulat Ki Chaat. A lesser known delicacy available only in winters, Daulat ki Chaat will make you fall in love with it instantly. Available exclusively in old Delhi, it is nothing like your regular chaat that tickles your palate with its spicy and tangy flavor. This one is sweet. Yes, Daulat ki Chaat is a dessert whose job is not to tease but to please! It is extremely light and can be eaten after a heavy meal. Unlike other Chaat items, this one soothes your senses. Literally translating to ‘The wealthy chaat/snack’, Daulat ki Chaat is a product of hours of toil. The process is quite cumbersome as it takes several hours of manual labour. Milk and cream are churned together for 3-4 hours continuously. 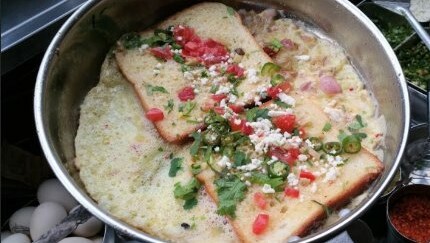 This causes a thick layer of foam to accumulate on the top which is carefully removed and collected in a separate dish. 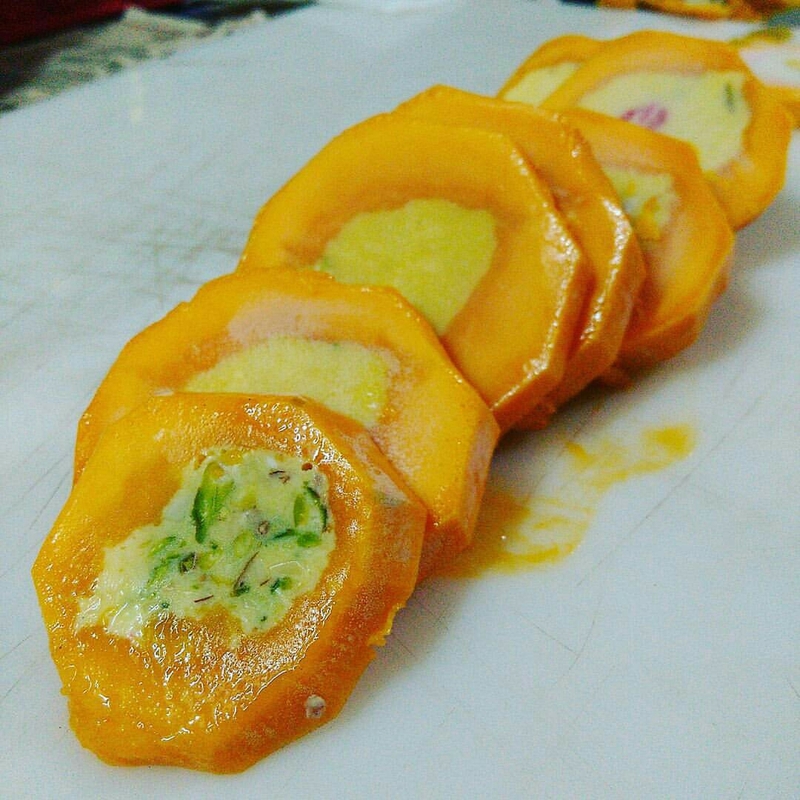 To a few parts, saffron is added which lends a yellow colour to it. This large dish (like a gigantic thali) is placed on a wooden stand as customers drop by to devour it. In a plate this foam is taken, both the plain white and the saffron one, which are topped with Khoya and powdered sugar. After trying for 2 months, I finally got to taste this dish. All it took was a spoonful and I instantly knew that I had Nirvana on my plate! The texture is extremely soft. In fact, soft would be an understatement. The frothy texture melts in your mouth and the khoya and sugar make it a sweet and toothsome delight. 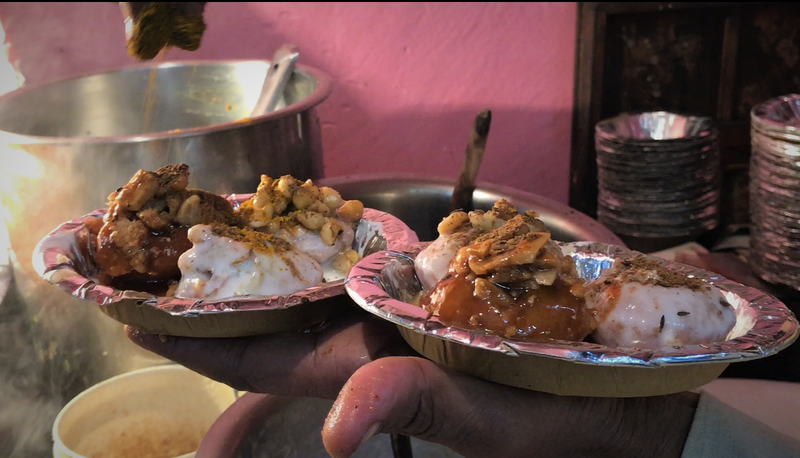 From November to mid March, Chandni Chowk hides several vendors of Daulat Ki Chaat in its sly and narrow alleyways. I tried it in two places in Chandni Chowk. One was in Katra Neel, outside Chanda Fashion. Anil Chand Kumar, the vendor prepares every plate with great care and expertise. Anil claims that 40 years ago his dadaji (grandfather) was the first one to bring Daulat Ki Chaat on the streets of Delhi-6. From November to March, he sells Daulat ki Chaat in Katra Neel and the rest of the year he works at his family’s shop- Baba Chaat Corner in Jogiwara, opposite to the Bhairon Temple. He served one plate for 50 rupees. Another vendor, Hukum Singh stands bang opposite to Natraj Dahi Bhalle Wala from 9 a.m. every day. Hukum Singh hails from Moradabad, U.P. and learnt the art of making Daulat ki Chaat from his mamaji (maternal uncle) who has been selling it in Kinari Bazaar since the last 25 years. He started selling Daulat ki Chaat about 9 years ago. With a happy and content smile he says, “The process of churning goes on till about 3-3:30 in the morning. 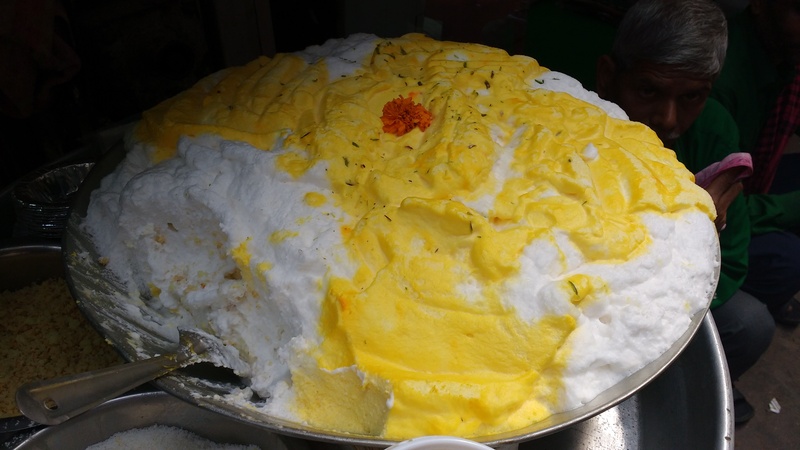 After holi, it becomes too hot for Daulat Ki Chaat as the foam begins to disintegrate. So I go back to my hometown where farming keeps me busy till the next October-November.” Here, one plate was for around 35-40 bucks. 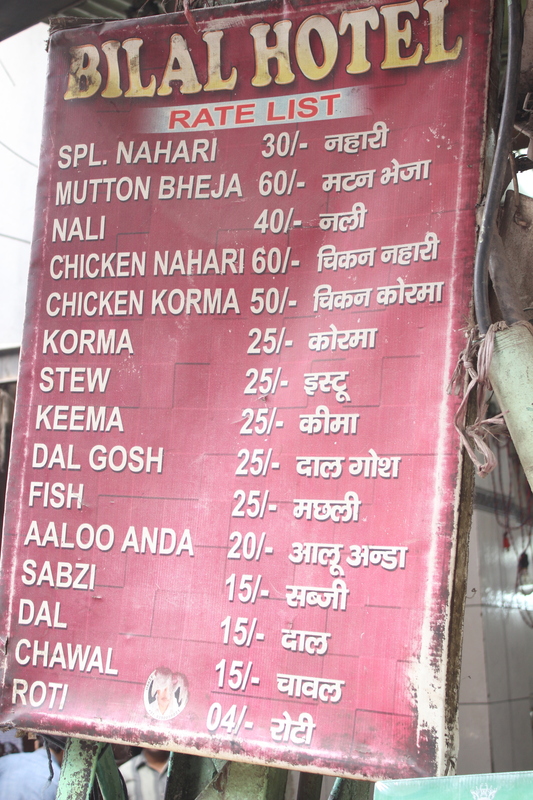 Chandni Chowk has many mouth-watering dishes to offer. But things like Daulat ki Chaat go unnoticed. I hope this dessert does not fade away into oblivion, swallowed by the stiff competition from popular restaurants.